Car wash fundraisers are an important means for an organization to raise money. But, if the wash water from the car wash is not handled properly, it is harmful to the environment. Car wash fundraisers are usually held in parking lots of local businesses where the dirty water from the car wash goes into the nearest storm drain. Wash water entering a storm drain does not get cleaned at a wastewater treatment facility. Instead, the wash water and associated pollutants (soaps, oils, metals, etc.) flow directly into local creeks, rivers, and streams. 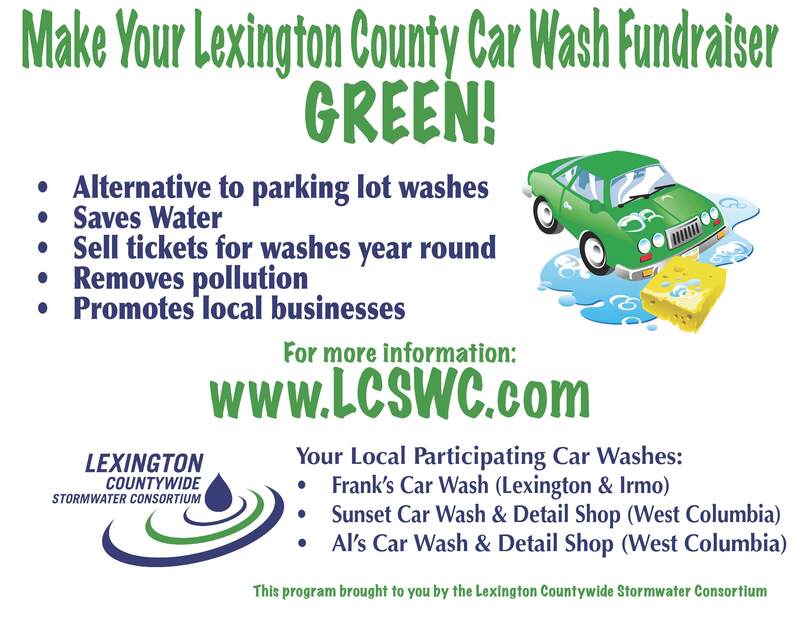 LCSC has partnered with local commercial car wash operators to assist groups with meeting their fundraising goals without holding the traditional (time-consuming, labor intensive, and pollutant generating) car wash. Wash water from commercial car washing facilities flows into the sanitary sewer where it is treated. Most commercial car wash facilities also use special equipment to conserve and recycle their wash water, making this choice even greener. By partnering with the local commercial car wash facilities listed below, your organization can ensure that it meets its fundraising goals AND protects the environment. Community groups can purchase discounted car wash coupons from participating facilities that they can then re-sell! It’s quick, easy, and safe for the environment. The Car Wash Fundraiser Program is available to community groups with 501(c)3 status, school groups, and civic organizations. To schedule your fundraiser, contact the car wash facilities below for details. Few people realize that washing vehicles on pavement introduces pollutants into our waterways that can negatively affect aquatic life and the safety of our waterways. Several local commercial car wash owners have agreed to provide organizations with a resale coupon/ticket/gift card that organizations can purchase at half price and resell to raise money for whatever project the organization needs funds. We ask that you contact the individual car wash businesses for details on their car wash fundraising options. Wash water at these commercial car washes is treated and never goes into the storm drainage system. Below is information on reaching these car wash owners. Frank’s car wash fundraisers can be done at all of their full-service locations or at the Frank’s Express locations (drive through car wash).